New York, Los Angeles, Ferguson, Baltimore. Police brutality, racial tensions and riots in the USA are once again all around newspaper front pages. How much has changed from the 1960s of Martin Luther King Jr. and Stokely Carmichael to the current America of Barack Obama? 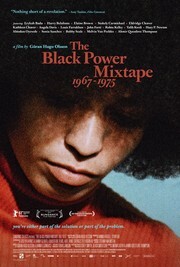 Time to rediscover a fascinating documentary directed by the Swedish filmmaker Göran Hugo Olsson and released in 2011: The black Power Mixtape (1967-1975). 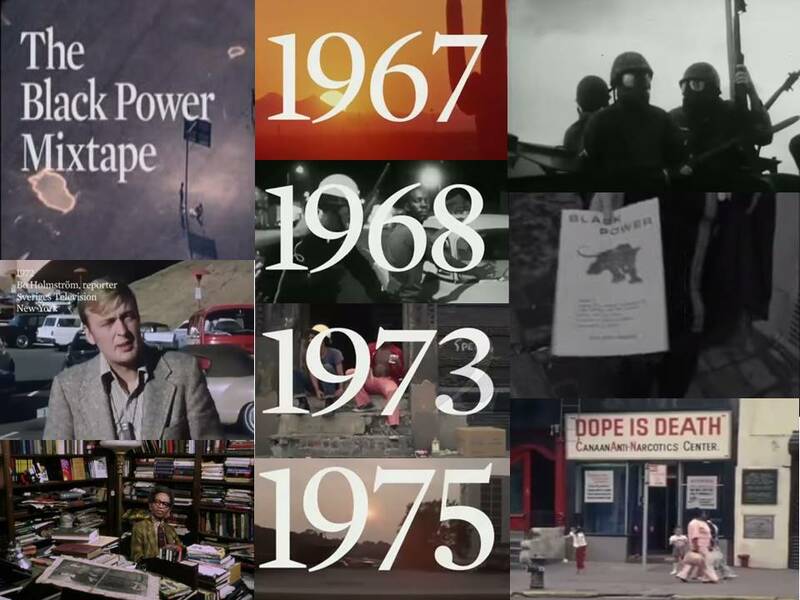 The film combines candid 16mm footage shot in the 1960s and 1970s in the United States by Swedish journalists and contemporary audio interviews from leading African-American artists, activists, musicians and scholars. Mixtape is a cinematic journey into the 1960s and 1970s American black communities. It tells a story of defiance, pride but also of defeat and frustration with the Attica prison uprising and the spread of drugs in 1970s Harlem. No matter if it was luck or fate when in 2007, in a forgotten place in a cellar beneath the Swedish National Broadcasting Company, Göran Hugo Olsson found these film canisters full of surprising 16mm footage shot in the 1960s and 1970s by Swedish journalists curious about the American black movement and the outpouring of protest against the Vietnam War. Glued together with a superb soundtrack (including original music produced by Ahmir “Questlove” Thompson, drummer of The Roots, and by the singer-songwriter and producer Om’Mas Keith) and with contemporary audio interviews from leading African-American artists and musicians, activists and scholars, Göran Hugo Olsson’s Black Power Mixtape (BPM) is a captivating and moving immersion into 1960s and 1970s American black communities, ideals, dreams and legacies. The documentary opens with ordinary pictures of the beach in Hallandale, a few miles North of Miami Florida, in 1967. Swedish journalists are interviewing a white regular working class guy, owner of dinner on the beach: “An ordinary man in America has better protection, has better freedom of speech than anywhere else in Europe or in the world”. They subsequently move from the white-only seashores to the depressing in-land black ghettos and interviewing Afro-American veterans returning from Vietnam: “Some way you know, I got on the wrong track and the environment will keep the man down”. The tone of the film is set in that diametrical opposition: Swedish journalists curious about the reality of the American dream and turning it upside down in a series of meetings with ordinary people and icon of the Black American movement. in order for nonviolence to work, your opponent has to have a conscience. The United States has no conscience”. Images of Martin Luther King, Coretta Scott King and Harry Belafonte meeting with King Gustaf VI Adolph of Sweden suggest a world of promise. But the murders of Medgar Evers (June 12, 1963), Malcolm X (February 21, 1965), and Dr. King (April 4, 1968) show why the call for active black resistance escalated. The Black Power Mixtape repeatedly connects the dots between racism and military might but also offers a different and more human perspective. One has very little footages of Carmichael Scandinavian tour and The Black Power Mixtape footage of Carmichael’s interviews and press conferences in Sweden and in Paris are therefore absolute gems. But the best Carmichael’s segment in the film might be when Carmichael offers to interview his own mother, Mabel, gently compelling her to address their family’s personal difficulties. On the right side of the screen, we can just but imagine the reaction of Ingrid Dahlberg, the young Swedish television journalist who was following Carmichael’s return to the USA and who is now witnessing this mother-son relationship, where the radical voice of Black Power is effacing himself and listening respectfully to his mum. You asked me if I approve of violence… I just found it incredible. Because what it means is that the person who is asking that question has absolutely no idea what Black people have gone through”. 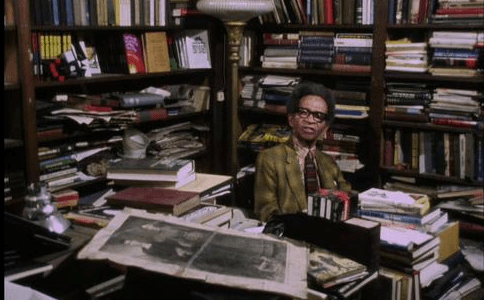 The third main personage of the Black Power Mixtape is Lewis Michaux, the charismatic bookseller of the National Memorial African Bookstore in Harlem New York. His bookshop has been the epicentre of Black literary and one of the main rallying points of Black political life until 1975. Sitting in the middle of his impressive collection of books and leaflets, he is offering a powerful summary of the situation; how to fight back against the white man, his Bible on one hand and a gun in the other? By obtaining and nurturing knowledge because “knowledge is power”. The Black Power Mixtape is not an attempt to produce a comprehensive history of the American black movement like Helmer Lee Lew-Lee’s saga All Power to the People! Göran Hugo Olsson’s film is, on the contrary, a penetrating collage of unique images and interviews pinpointing key moments, from the inception of the concept of black power during the 1960s civil rights era to the painful realities of the ravages of drugs in the late 1970s Harlem with some extremely disturbing footage but also some very powerful ordinary segments of colourful daily life in the streets of 1970s Black New York. The combination of ordinary and iconic footages is beautiful done in the film. The archival material flows perfectly well all the way through the nine tracks of the film. Each of them is introduced by a superimposed date with very brief elements of contextualisation. This rather minimalistic approach certainly reinforces the captivating character of the film. Göran Hugo Olsson is certainly old enough (born in 1965) to remember the truly 1980s art of crafting a mix tape, to manually select the right album, place the needle down onto the vinyl on the perfect spot, meld track by track and fade them in and out to the next one. His documentary is as such a perfect homage to this somewhat disappeared art. But the true beauty of the film is in the powerful combination of these incredibly fresh and sometimes naïve Swedish journalists and filmmakers’ 16mm footages from the American black movement in the late 1960s and early 1970s with audio interviews in present time (2010) with artists (Harry Belafonte, Erykah Badu, Talib Kweli Greene, Ahmir “Questlove” Thompson, Abodium Oyewole, John Forté) or activists and scholars (Angela Davis, Kathleen Cleaver, Sonia Sanchez, Robin Kelley) who have either been part of the movement and/or who have been deeply influenced by it. There is no tedious expertise or infatuated contemplation in these interviews but serene recollections and inspiring reflections on the icons, dreams and legacies of the Black Power movement. From Malcolm X, to the split in the movement in the direction of Stokely Carmichael, to the Black Panther Party’s attempt to model an alternative way of living in response to state sponsored violence, to the attempted legal lynching of Angela Davis, one can see the intellect and courage that fired a movement unsatisfied with the progress and process of the civil rights struggle that preceded it. What is left of the Black radical movement? It is still there, waiting for the awakening really. Finally, one can only speculate about what the intended purpose was for the material shot by the Swedish journalists. The long list of names is listed at the end of the film. 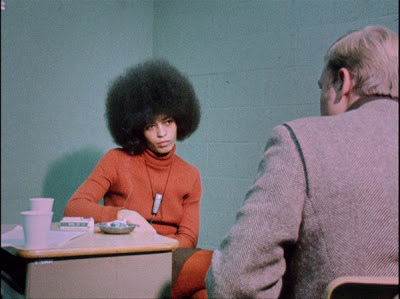 Apart from Ingrid Dahlberg interviewing Carmichael and Bo Holmström interviewing Angela Davis, the Swedish journalists are the self-effacing character of the film and this certainly contribute to the beauty and success of it. 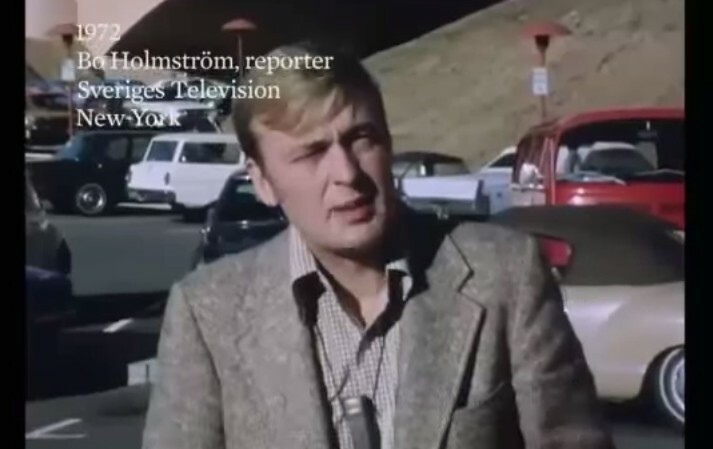 Sweden, as a nation has always been at the forefront of anti-imperialism and anti-apartheid movements and one can assume that these journalists were part of this well-shared Swedish radical outlook of the 1960s and 1970s. This could be the subject of a different movie, a different mixtape reflecting on that particular period in Sweden. There is no nationalist pride in the Black Power Mixtape but the expression of a rather commonly share distinct Swedish tone on international solidarity and focus on anti-discrimination that was there in the 1970s and in the 1980s. And again Göran Hugo Olsson is certainly old enough to remember the different leftist communities in exile in Sweden, the importance of the anti-apartheid movement in the country and Olof Palme vocal opposition to the Vietnam War. Black Power Mixtape provides an expertly crafted outsiders view of one of the most tumultuous periods in American history. 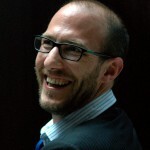 Olsson’s film humanises this durable and unique time of struggle. It is definitely a must-see film.
. Hamilton, Charles, and Kwame Ture. Black power: Politics of liberation in America. Vintage, 2011.
. Sellström, Tor. Sweden and National Liberation in Southern Africa: Solidarity and assistance, 1970-1994. Vol. 11. Nordic Africa Institute, 2002.